If you’re bothered by the fullness under your chin, you are not alone. According to an American Society for Dermatologic Surgery survey, 67% of respondents said they were bothered by the excess fat beneath their chin. Excess fat under the chin can be due to genetics, weight gain, and aging. Sometimes, even with diet and exercise, the stubborn chin fat does not go away. Fortunately, Kybella can help. Kybella is the first and only FDA approved injectable treatment to improve the appearance of fat beneath the chin by physically destroying fat cells. Once destroyed, those cells cannot store or accumulate fat. The active ingredient in Kybella is deoxycholic acid, a naturally occurring molecule in the body that aids the the breakdown and absorption of dietary fat. Fat cleared from the treatment area is processed through your body’s natural metabolism. Once your injectable treatment sessions have been completed and the aesthetic effect is achieved, further treatment with Kybella is not expected. In clinical studies, 79% of people treated with Kybella had improved satisfaction with the appearance of the area beneath their chin 12 weeks after the last treatment. Each vial is $600 if purchased individually. We have special pricing for patients who want to buy the Kybella kit, which contains 4 vials, at the cost of $2,000 (savings of $100 per vial). How many vials you need depend on how large the treatment area is. Most patients will require 2-4 treatment sessions spaced 4-6 weeks apart. Yes. Deoxycholic acid has been used for a very long time in other parts of the world to destroy fat cells. Kybella was tested in more than 20 clinical studies, during which more than 1600 people worldwide were treated with Kybella. It is FDA approved to be safe and effective in reducing fat in submental area. The most common side effects include swelling, bruising, pain, numbness, redness, and areas of hardness in the treatment area. You will be able to resume normal activities after the procedure. You will likely have swelling, so keep your social plans and work commitments in mind when scheduling treatments. Isn't a double chin associated with being overweight? Sometimes, even with diet and exercise, the unwanted double chin won't go away. Genetics, weight gain, or aging can be a cause of the double chin. Kybella is a nonsurgical treatment administered during an in-office visit. The injection process may take 15-20 minutes. 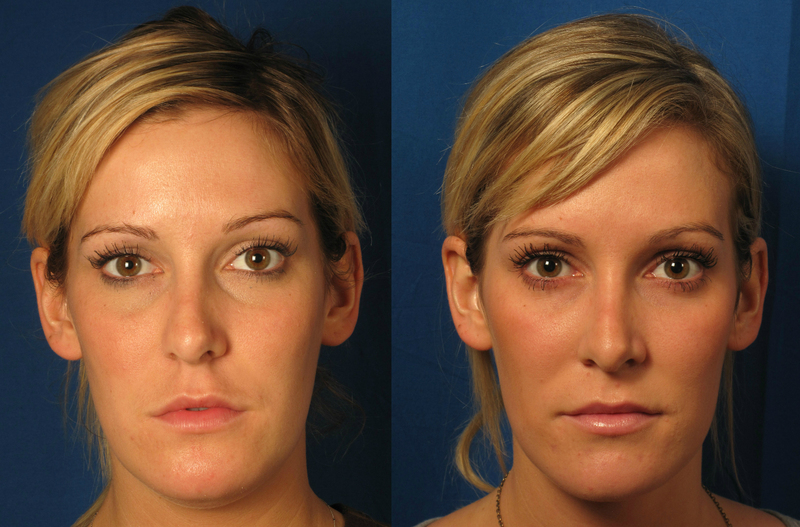 You will receive a series of injections into the fat under your chin at each treatment session. There may be some pain associated with the injections. Prior to your treatment, we will have you apply numbing cream to make you more comfortable. After treatment, apply ice or a cold pack to the treatment area as needed. Two weeks prior to your treatment, discontinue taking aspirin, ibuprofen, or fish oil. (Note: If your personal physician prescribed aspirin to you, do not discontinue without his/her approval). Taking arnica orally for a week before and after the treatment can also help decrease bruising. Ice 10 minutes on/off for the first 24 hours to help with swelling.